The 71st Annual Royal Tulip Ball will take place on Saturday evening, May 11, 2019, at 60 State Place in Downtown Albany. This wonderful annual event is an opportunity to celebrate our Capital City, and raise funds for Albany based not-for-profit organizations that focus on community, education, culture, and the arts. The Tulip Ball is the highlight of the widely-anticipated Tulip Festival weekend. 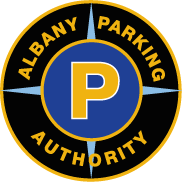 For 71 years, the City of Albany has hosted this celebration of Albany’s rich history and tradition with a three-day event featuring the annual street scrubbing, a music, arts and crafts festival attended by thousands in the historic Washington Park, and the Royal Tulip Ball. This year’s Ball will include fantastic entertainment by TS Ensemble and presentations by recipients of grants from the Capital City Fund. Proceeds from this year’s Ball will benefit the Capital City Fund, a fund created by Mayor Sheehan to help not-for-profit organizations better serve the people of Albany with effective and innovative programs and services. Grants are awarded in three areas: Community/Culture, Arts, and Education. The Capital City Fund also provides funding to veterans organizations for the Veterans and Memorial Day Parades, the Gold Star Families luncheon and the purchase of flags used to honor the resting places of Albany County veterans every Memorial Day. Please join us as we celebrate with the newly crowned Tulip Queen and her court by sponsoring and or attending this prestigious, lively, and fun-filled event. If you would like to purchase tickets to the Tulip Ball, please visit: https://www.eventbrite.com/e/71st-annual-royal-tulip-ball-tickets-56114924249 or send a check made out to the Community Foundation for the Greater Capital Region with a memo: Capital City Fund to: 71st Annual Royal Tulip Ball, 24 Eagle St. Room 102, Albany, NY 12207. Tickets are $125 or $95 for young professionals (under 30 yr old). Please indicate the names of anyone attending. Warren W. Abriel, Chief A.F.D./Ret.